Les terroirs des blancs sont différents. Généralement, nous retrouvons les cépages Marsanne et Roussanne, sur les plateaux, lieux-dits Maison Blanche et Rocoules. 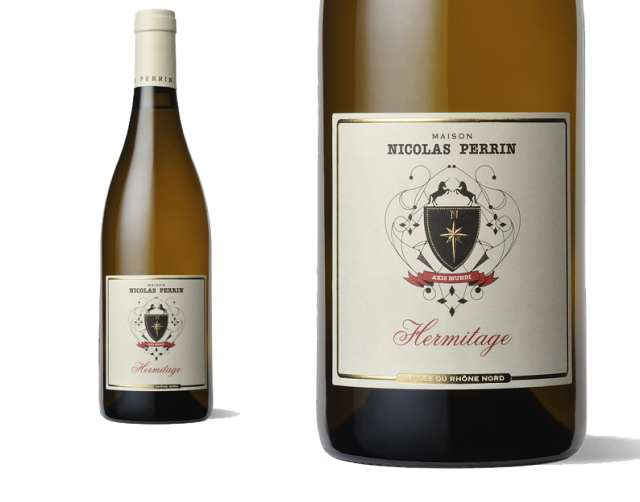 A marriage between Famille Perrin and Nicolas Jaboulet, this small operation has the luxury of being dedicated simply to the wines. They don’t need to produce large quantities to cover costs, so they think small and focus all of their energy on quality. Isn’t that refreshing? 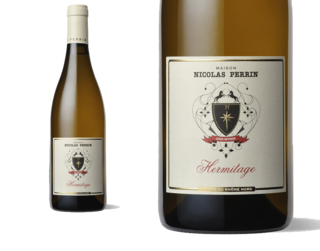 This particular Hermitage Blanc perfectly exemplifies Maison Nicolas Perrin’s dedication to perfection. Elegant and complex, this great white Rhône shows its ability to support both fruit and oak flavors. Dense and rich with creamy texture and ripe peach fruit plus a hint of toasted oak; lush, juicy with amazing depth, elegance and subtle power; an extraordinary and rare wine from a great vintage.